Pantry Patrol: June 1943. New Britain, Connecticut. "A child care center opened September 15, 1942, for 30 children, ages 2 through 5, of mothers engaged in war industry. The hours are 6:30 a.m. to 6 p.m., six days per week. Miss Machmer and the dietitian checking the amount of food used during the month and making a general inventory of all supplies on hand." Medium format nitrate negative by Gordon Parks for the Office of War Information. SIRI: The Early Years Richmond, California, 1914. 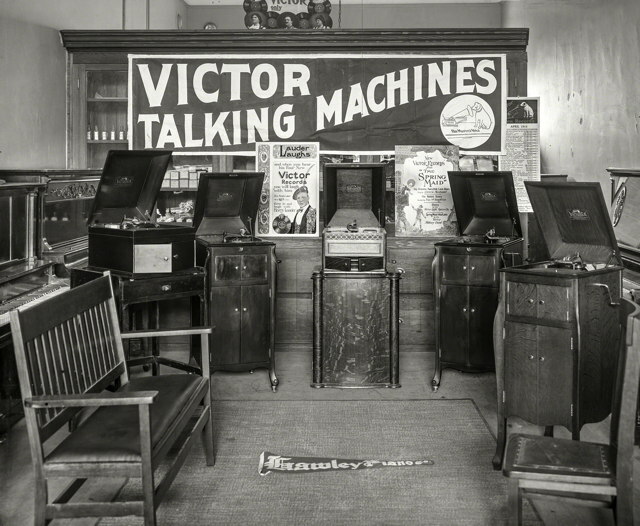 "Victor Talking Machine display. Hawley Piano Co., Macdonald Avenue." With Nipper headlining a list of the latest platters. August 1937. "Steam baths are very popular among the lumberjacks near Craig­ville, Minnesota." After your schvitz, try the Tobacco Lunch. May 1956. Memphis, Tennessee. 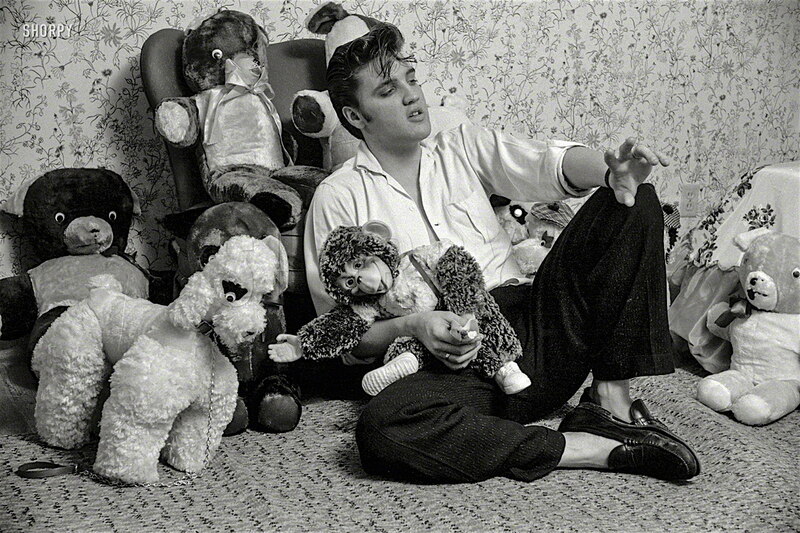 "Elvis Presley at home with stuffed animals." 35mm negative from photos by Phillip Harrington for the Look magazine assignment "Elvis Presley -- He Can't Be -- But He Is."